In a recent ATV accident, a 10-year-old girl was seriously injured after the 9-year-old driver rolled the vehicle. According to New England authorities, the young boy drove the ATV into a rock, causing it to flip over onto the both of them. The Boston Globe reports that it happened in Danville. Luckily, the boy wasn’t injured and was able to climb from underneath the ATV and run and get help for the young passenger who was still trapped underneath. Two men were able to flip the ATV over and call 9-1-1. The young passenger was transported to Boston Children’s Hospital. Thankfully, both riders were wearing their helmets when the accident happened. It’s during this time of year that we need to focus some attention on ATV and snowmobile safety. The temps are getting cool out there and kids will soon be off for Thanksgiving and Holiday break. During this time, they’ll be outside playing — many of them on ATVs and snowmobiles. Our Boston personal injury attorneys are asking parents and guardians to make sure that our youngsters do so safely and responsibly. In 2009, there were close to 800 people killed in ATV accidents across the nation. An additional 132,000 people were injured in these incidents. Children under the age of 16 accounted for about 20 percent of all of the fatalities and a quarter of all of the injuries in these crashes. Parents are asked to make sure that their children complete safety training courses before heading out. It’s also important that these young riders are equipped with the proper protective gear. This includes a helmet, long sleeves, long pants and sturdy shoes. Goggles are also recommended to keep debris out of their eyes. Young riders should avoid riding with a passenger. ATVs are usually designed to carry one person at a time. Passengers make these vehicles more difficult to control, too! Lastly, remember to keep these vehicles off of paved roads. They’re designed to be kept on grass, dirt and other natural terrain. We also need to focus on snowmobile safety during this time of year. As the ground turns white and kids are let out of school, you better believe that they’re going to be heading out — on snowmobiles. Each year, there are dozens of people who are killed in snowmobile accidents. Most of these accidents involve male riders and most of the accidents involve a snowmobile and a fixed object. Speed is one of the most common factors noted in these accidents. Just like driving a motor vehicle, alcohol is a serious factor, too! 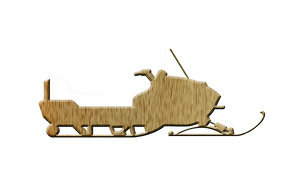 When driving a snowmobile, it’s important to adjust your driving habits to the current conditions. Most snowmobile accidents are completely preventable! Make sure that you wear the right helmet while riding, that you keep your snowmobile in good-working order and that your headlights and taillights are always working properly. Consider completing a snowmobile safety course while you’re at it. Although not required by the state of Massachusetts, it’s very beneficial in keeping you safe out there! If you or someone you love has been injured in an accident, contact Boston Accident Lawyer Jeffrey S. Glassman for a free and confidential appointment to discuss your rights. Call 877-617-5333.